When you are looking for the best headphones for mowing the lawn you should go for pieces that are durable, comfortable, affordable, and provide you with enough noise isolation. Should you buy earbuds or over-ear headphones? This is a genuine concern especially if you have never bought the pieces before. I will tell you the pros and cons of each and it’s up to you to choose the ones that you like the most. Over-ear headphones are large and when you wear them for a long time or when it’s hot, they tend to get too hot. If you sweat like me, it can be too hot for you when mowing the lawn. While this is the case, the pieces completely cover your ear thus ensuring that no air or sound gets in. This protects you from the sound coming from the lawn mower thus you mow in peace. Earbuds are small and don’t make you sweat even when you wear them even for a long time. Their only flaw is that they do less when it comes to sound isolation. This is because they don’t cover your ear completely. By comparing the pros and cons of each of these pieces, you should reach a conclusion as to the best ones that you should settle for. In my opinion, you should always go for over-ear headphones. While they will be hot to wear, they will provide you with the noise protection you are looking when mowing. Should you invest in Bluetooth headphones? Do you love listening to radio when lawn mowing? I had put together a list of some of the best radio headphones for lawn mowing you can go for. As a radio lover, the last thing you want is a cord pulling out your earbuds every now and then. Most of the earbuds are made in one size and when there is a cord pulling them, they tend to keep on coming off especially when they aren’t fitting properly. Bluetooth technology makes it possible for you to listen to your favorite station when mowing without worrying about cords. Does it make sense buying Bluetooth headphones for lawn mowing? Definitely. While they will be expensive to purchase at the start, they will give you a great experience. They allow you to listen to radio comfortably without loss of audio quality. Should you worry about durability of the headphones? Yes, you should. You should note that some headphones are designed for indoor use. These are usually made from low-quality materials that can’t take the beating of lawn mowing. When buying headphones for mowing grass, go for those made from high-quality materials that can withstand the outdoor environment. In addition to the material, also pay attention to the headband. It should be flexible and the cable should be replaceable if possible. You don’t have to replace the entire headphones when the cable breaks. What about comfort? Should you pay attention to it? If you have a large yard, the last thing you want are pieces that are hurting your ears the entire time. For you to be comfortable, you should go for comfortable headphones with all the comfort features. The pieces should have the right padding, and be of the right size. You should note that while you are looking for comfortable pieces, you will sometimes have to tradeoff between comfort and sound isolation. For you to get the highest hearing protection, you will sometimes have to go with tight protection units that might not be comfortable. For you to tell whether the headphones you are buying are the right fit for you, always try them on. When buying from your local store, try them on and try and achieve the tightest fitting you can. If buying them from Amazon or any other online store, try them on when you receive them. If they aren’t comfortable, don’t accept them. How much should you spend on the pieces? The good thing is that most of the headphones on the market that you can use for mowing and other outdoor activities are affordable. In fact, most of them cost under $100. While this is the case, it doesn’t mean that you have to buy dirt cheap pieces. Remember, the cheaper the pieces, the faster they will come apart which will cost you more in the long run as you have to keep on replacing them. The cheap pieces also tend to fail giving you the hearing protection you are looking for. While you should avoid the cheap hearing protection pieces, it doesn’t mean that you should go for the ultra-expensive pieces as they might not be worth it. Remember, most of the expensive pieces tend to be from a reputable brand and you often end up paying for the brand name, which isn’t worth it. The best pieces to go for are those that are mid-priced. You only need to ensure that they are of high quality and provide you with the protection you are looking for. So, which headphones should you buy for mowing the lawn? When you are looking for the best headphones for mowing the lawn, there are plenty of them in the store that you can buy. You should buy pieces that are made from high-quality materials so that they can last for a long time. The pieces should also be comfortable to wear. They should have the right padding, easy to adjust, and be of the right size. Do you love fashionable pieces? You should go for those that match your personality. For example, if you are an outgoing person, go for pieces made from conspicuous colors such as purple or any other. If you don’t like attracting attention, go for black, dark green, or any other low key color. I have been wearing different versions of these pieces for over a decade now and all I can say is that they are one of the best headphones for mowing the lawn you will find in the market. How is the noise reduction? The main reason you are going to wear the pieces is that you want to get rid of the annoying noise, right? Well, these pieces provide you with the protection you are looking for. The hearing protection devices have a noise reduction rating (NRR) of 24 Db. While the reduction isn’t high enough to block all the noise coming from the lawn mower, it reduces it to substantial levels so that your hearing isn’t compromised. Do you like listening to music when mowing? You are on the lucky side as these pieces allow you to do so. The cool thing is that the music not only entertains you when mowing, it also aids in blocking out excess noise. The Bluetooth technology allows you to seamlessly stream music and other forms of media from your mobile phone or any other Bluetooth enabled device. The high-fidelity speakers provide you with premium sound quality that allows you to hear everything with clarity. The high-quality speakers also allow you to muff most of the noise. When you pair the headphones with a phone, you can use them to make a call without having to take them off your head. Talk of convenience. While I like the ability to listen to the radio on the headphones, I don’t like the fact that there isn’t a volume control on the pieces. Maybe this should be an area that the manufacturers should look into. For you to control the volume, you have to do it from the phone, which isn’t convenient as you have to remove the phone from the pocket and do it. You can have peace of mind buying these pieces as they are one of the most comfortable hearing protection devices I have used in over two decades as a handyman. One of the things that makes the pieces one of the most comfortable pieces in the market is the flexible headband. I have a large head and all I need to do for the pieces to fit me is to adjust the headband. I love wearing caps when mowing and I have never had comfort issues with the headphones. My friend Mike, complained that the pieces were too tight when he wore them with a cap, but it isn’t the case with me. The pieces are great and very comfortable. The headphones weigh only 10.7 ounces, which as you might know is quite light. This means that you can wear them for hours without feeling as if you have a burden on your head. Finally, the headphones have soft, comfortable ear cushions and low-profile cups that provide you with that comfortable fit. When you wear the pieces for a long time, the cushion tends to wear out over time. Unlike other pieces that require you to discard the entire headphones, when the cushion wears out, you only need to replace them. If you have used other hearing protection devices in the market that allow you to listen to the radio when working, they come with cords and antenna that can be a bother when working. Not with these pieces. The cord and antenna-free design of these units allows you to easily move around when working. As a result, you concentrate on the job you are doing. Over the years, I have bought a wide range of 3M WorkTunes and most of them last for more than five years. The headphones are made from high-quality plastic that is able to take the beating of outdoor weather. While this is the case, you should note that you have to take good care of the pieces for them to give you a great service for a long time. As rule of thumb, avoid smashing the pieces on the floor or any other hard surface. You also should avoid placing them near toxic chemicals. Another way of taking good care of the pieces is cleaning them regularly. All you need to do is to dust them with a moist piece of cloth. Never soak them in water as they will get damaged. There are a number of things I like about these headphones for lawn mowing. Very comfortable: I have a large lawn and takes me hours to mow it. This means that I have to be wearing the headphones for hours. I have never had any discomfort. In fact, I forget that I’m wearing the pieces. Radio: I’m not a radio guy but time to time I like listening to my favorite radio station when mowing. I like that you can easily integrate the pieces to the phone, tablet, or any other device via Bluetooth and not only listen to the radio, but also block most of the noise. Durability: Who wants to keep on heading to the stores to buy new pieces every now and then? Not me. The pieces are made from high quality, durable plastic that can last for years when you take good care of it. The only thing you need to do regularly is to change the headphone cushions. The lack of the volume control feature makes them an inconvenience as you have to control the volume from the phone, tablet, or the gadget you are using. Unlike other hearing protection devices I own, these pieces tend to consume the battery very fast which isn’t ideal when you are listening to the radio. For example, I have noticed that the batteries drain in less than two hours. If you have a large lawn, you will have to recharge or replace the batteries for you to continue listening to the radio. The good thing is that the batteries recharge fast. Are you looking for pieces that provide you with hearing protection and audio functionality at the same time? These are your go-to pieces. Do they provide hearing protection? Before we go into the specifics as to whether the units provide you with noise protection or not, let me tell you how I got into buying these. I had been using 3M worktunes with Bluetooth for over a year until Mike mentioned that there were new hearing protection devices in the market that could give me a better experience. Curiosity got the better of me and I had to get these. I bought them on Amazon for $80 which I can say burnt a hole in my pocket. But, what is that if the pieces could give an awesome experience? According to the manufacturers, when you properly insert the pieces in your ear you can reduce the external noise by up to 27 dB. 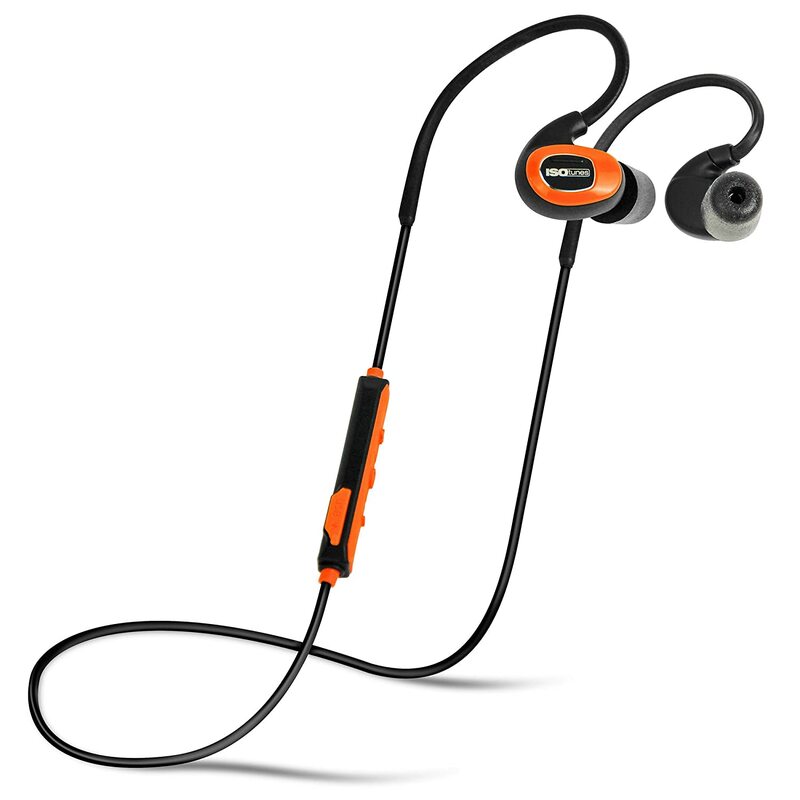 The units are also OSHA compliant and limit the in-ear playback volume to 85 dB. This comes in handy in ensuring that you don’t damage your hearing when listening to music. For you to connect them to your devices, you need to use Bluetooth. The units feature Bluetooth 4.1 and they are compatible with all Bluetooth enabled devices. The manufacturers report that the headphones implement the enhanced data rate feature of Bluetooth. Courtesy of this, you don’t have to worry about the pieces cutting out or garbling audio like the other Bluetooth headphones do. Pairing the headphones with your devices is easy. All you need to do is to hold the power button for a few seconds until you hear the pairing mode. You should then find the earbuds in your Bluetooth menu and pair them. This is a very important feature as you don’t want units that will damage your ears when you are mowing the lawn for hours. Well…I have to say that these aren’t the most comfortable pieces I have worn but they are comfortable enough to allow you to continue with your work without many problems. If you have a large lawn and you need to be on it for hours, you may have to remove the pieces a number of times for you to relieve your ears. What makes the pieces comfortable is the custom fit memory wire that conforms to the ear, giving you a stable fit. The pieces also have a heat activated comply foam ear tips that provide you with a superior comfort and durability. When I received the pieces from the store, I was worried that they are going to be heavy as they came with a large box. I couldn’t be wrong. The pieces are only 0.64 ounces thus you can wear them the entire day without complaining of exhaustion. If you are like me, you have bought a good number of hearing protection devices only for them to last a few days and you can’t use them anymore. I have been using these ones for almost a year now and I haven’t seen any problem. According to the manufacturers, the pieces are rated IPX4, which makes them sweat and splash proof. This greatly increases their durability as they can handle the sweat that results when you are working. You also don’t have to worry about damaging them in the event you drop them when working. I can attest that the splay proof feature actually works. I have dropped the units a number of times and they haven’t cracked or developed any other problem. For you to get the most from the earbuds you need to wear them properly. The tip of the earbud goes into the ear canal while the body rests inside the ear. You can bend the memory wire, the first few inches of wire out of the earbud and place it around the back of your ear. By doing this you aid in keeping the earbuds in place. When you order the pieces, they come with three sets of removable tips that fit different sizes of ear canals. It’s up to you to find the tip that works the best for you. When wearing the pieces, ensure that the tips are soft and comfortable to the ears. To remove the tips, you only need to unscrew them from the threaded stem of the earbud body. Start by rolling the tips of the earbuds between your fingers. The aim of doing this is to make a thin “snake” with your fingers. If you can, use one hand. If you aren’t experienced, use both hands. You should then pull the back of the ear up and slide the tip in. You should then let the ear go and allow the foam to expand taking the space. When inserting the pieces, be cautious that you don’t insert them too far to the extent of damaging the ear canal. If you have inserted the pieces properly, the voice will be muffled as soon as the ear plugs make a good seal. If you haven’t inserted the pieces properly, they won’t give you the protection you are looking for. It can be challenging to put them on especially if you aren’t used to wearing them. I noticed that even the pieces with the smallest tips required you to put in a lot of pressure for you to insert them into the ear. Love your radio when mowing the lawn? These are the go-to units. I got to know about these pieces from Kelvin, one of my coworkers. 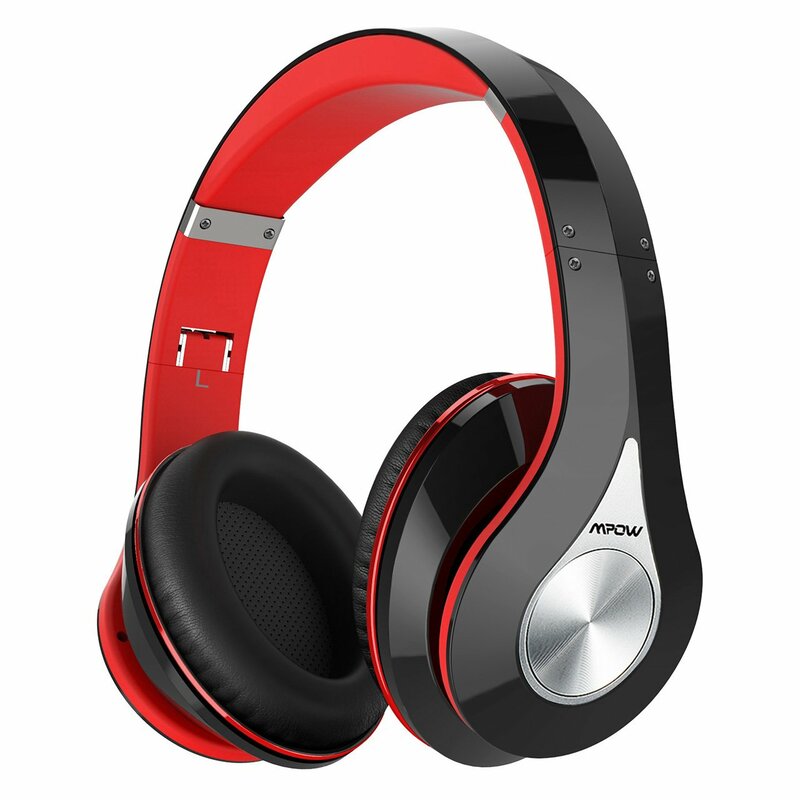 When I received them, it was obvious that Mpow had mimicked the design of the more expensive headphones on the market. You can clearly see this from the curves and angles to the shiny black plastic exterior to the beats. Even the cups have a high-end look. Do the headphones provide hearing protection? Well…the looks are great, but they are useless if the pieces don’t provide you with the hearing protection that you are desperately seeking for. The pieces provide you with passive noise isolation. When I wore them, I noticed that while they blocked most of the noise, they didn’t block all of it. This means that when you are in a place that is too noisy, the pieces might not provide you with all the protection you are looking for. How comfortable are the headphones? Since Mpow put a lot of attention into making the earphones to resemble the high-end products on the market, these pieces are one of the most comfortable pieces in the market that I have ever worn. The insides of the units are made from matte red plastic that has very thin “memory-protein material” cushion. This is the same material used in making the cups of the pieces. When you look at the cups, you will notice that they are oval and quite narrow. As a result, you don’t have to worry about discomfort even if your ears are as big as mine. I have a large head; therefore, I need large headphones. When I saw these I thought there was no way they were going to fit me. Surprise on me. The units have a high-quality headband that has seven notches for adjustment. You can adjust them to your comfort level. If I could find my comfort level, anyone will. On first look, you might think that the headphones are heavy. While they aren’t the lightest I have come across, they aren’t heavy compared to how they look. In fact, unless you are used to 3M or other light units, you won’t notice the difference. How easy is it to use the headphones? If you have used Bluetooth headphones before, you must have come across pieces that are difficult to use. I remember the first time I used them. I couldn’t connect mine to my device for over a month which left me frustrated. It’s very easy to use these pieces. When you are setting them up, you are guided through by a female voice that tells you whether the units are powered on or off. The voice will also tell you when they are in pairing mode and when you have reached maximum volume. The only challenge I had was with the controls located on the outside of the right cup. The controls are difficult to access. When you want to use them, you have to feel around and the clicks are very loud. You also need to use some pressure for you to get them working. One of the things I didn’t like is that the buttons are marked in very light grey and don’t light up on touch. Which isn’t a high end look at all. Will the headphones be durable? Well, since they are made from high-quality plastic, I believe they will last for a long time. I have been having using them for six months now and haven’t seen any problem with them. Do you want the units to last for a long time, you should take good care of them. As mentioned above, you need to store them properly. The cool thing is that the pieces fold at the hinges just above the cups allowing you to store them in an inclined case. When you aren’t using them, you put them in the case and cover them from dust. You also need to regularly clean them to get rid of excess dirt and also keep them looking great. I will tell you this right off the bat. If you are looking for pieces that will drown out the noise without listening to music, these aren’t your ideal pieces. You should look elsewhere. 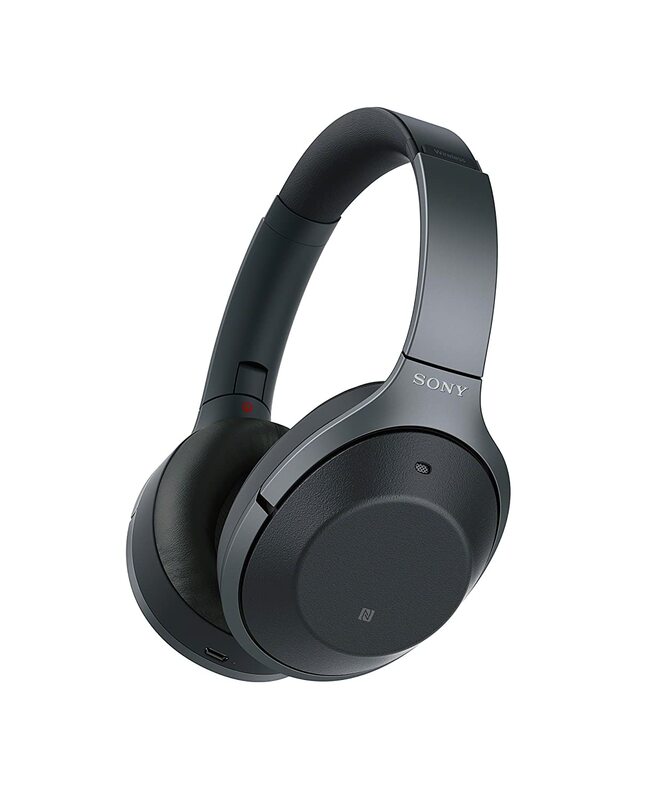 On the other hand, if you are looking for a good pair of active noise canceling headphones ideal for your work, you will love the Sony 1000XM2s. How do the pieces work? The pieces help you in blocking the noise actively. They play music that prevents you from listening to the annoying noise from the lawn mower. The pieces have a clever atmospheric pressure optimizer that you can initiate by a physical button located on the left ear cup. The button adjusts the level of active noise canceling depending on the seal of the headphones around your ear and current altitude. For you to properly use the headphones, you need to download an app and connect it to your device. After downloading the app, you should customize the settings and hear the audio optimized for where you are and what you are doing. The smart listening feature on the pieces detects the activities and the environment and adjusts the ambient sound accordingly. When buying the pieces, you should note one important thing: the pieces don’t have physical volume controls. Sony opted for touch controls located on the right ear cup, which aren’t a cup of tea for everyone. Mike, one of my best friends, doesn’t like the feature at all. I believe I’m a lover for technology; therefore, I really like the feature. To control the tracks and volume all you need to do is simply swipe your fingertip on the right ear cup and you are good to go. If you are like Mike and don’t like the feature, you can use the phone’s voice assistant to control the volume. The headphones aren’t as comfortable as Bose QC35 but they won’t strain your ears even when you wear them for long hours. It takes me over 5 hours to mow my lawn and for the few months I have used these, I tend to forget I’m wearing them. The headphones weigh slightly over 9 ounces thus they aren’t that heavy. You can wear them for long without worrying about them being too heavy for your head. Will the headphones last for a long time? Sony is a reputable brand and has been around for a long time. Since I was a kid, I have known Sony products to be the best in the market. I have been using these headphones for only a few months; therefore, I can’t say that they will be durable, but if Sony is to live up to its reputation, they will definitely last for long. 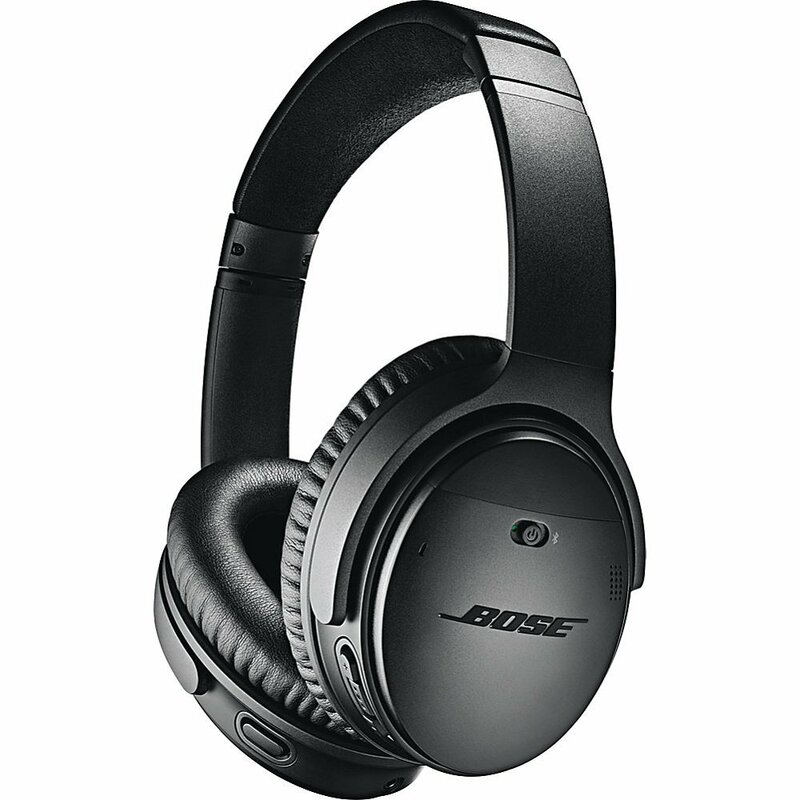 They are made by Bose, the industry leader in active noise-canceling headphones. I bought these when I was traveling a lot on trains, buses, and planes. One day, I couldn’t find the headphones that I normally use for lawn mowing so I put these on. The plane and train noise isn’t usually that much and didn’t expect these to provide me with optimum protection against the lawn mower noise. Shock was on me. When I wore them, even without turning the music on, I could already muff most of the noise from the lawn mowing machine. One thing I like about the pieces is that they are wireless and allow you to easily adjust the level of noise cancellation depending on the area you are working in. For example, if you are working with an extremely noisy lawn mower, you can set optimum noise cancellation thus blocking most of the noise. On the other hand, if the noise isn’t that much, you don’t have to put the units in high setting. In addition to having the ability to set the noise cancellation level you are looking for, the pieces also have the volume-optimized EQ feature that makes your music sound its best regardless of the environment you are working in. As mentioned, it takes me over 5 hours to mow my lawn. Most of the other headphones for mowing that I use last for only two hours and I have to replace the battery. Not with these. I mowed for two days and the battery didn’t dry out. According to Bose, the pieces can play for up to 20 hours wirelessly from the rechargeable lithium-ion battery. This means that if you have a small lawn, that takes you only a few minutes to mow, you can go for months without recharging the battery. I can say this without doubt that these are the most comfortable pieces of ear protection I have ever worn. The only flaw I noticed with them is that while they are comfortable, they start getting warm after an hour, especially when it’s sunny outside. When they start getting hot, I remove them and put them on after the ears have cooled. The ear cups are soft and there isn’t a lot of clamping. I have a large head and need to adjust the size of the pieces almost all the time. The top band is padded thus making it less annoying on the top of the head even when the fitting is tight. On comparison, I think Sony has a better sound quality than these pieces. While the Sony app allows you to choose the levels on the equalizer, you don’t have the luxury when it comes to the Bose headphones. The headphones listen to the music that you are playing and optimizes it to your liking. While this takes away the ability to control your music, it makes it easy for you to listen to the music as you don’t have to keep on fussing with the levels. These are some of the best headphones for mowing grass that you can go for. when buying the pieces, always buy them from a reputable store. This way you have high chances of buying high-quality units made from high-quality materials and are comfortable to wear. After buying the pieces, you should note that you need to take good care of them. As mentioned above, you need to clean them regularly. The best way of doing it is dusting them with a moist piece of cloth. You should avoid soaking them in water as you will damage them. In addition to regularly cleaning them, you also should avoid hitting them with hard objects that would crack them or cause any other form of damage. This calls for you to be cautious when you are mowing. Be careful that you don’t run them over with the lawn mower. Finally, you need to store them properly. After mowing, put them in their case. If they don’t come with a case, put them in a safe place where they can’t be damaged.